'Convert m4p Downloaded Apple Music to mp3? I have Downloaded some Songs,from Apple Music.in M4P Format. How Would, I Convert this,to a MP3 Format, Please?' Deidrefrompiete asked on Apple Communities. As we all know, MP3 is the most popular audio format out there. Therefore, converting Apple Music to MP3 is the most frequently question mentioned. In this article, we're going to show you how to convert apple music to mp3 easily. Why We Need to Convert Apple Music to MP3? Apple Music is one of the most popular streaming music service in the last years. It lets users access to live radio, social listening and a streaming music library with 45 million songs. Apple Music is available on the iPhone, iPad, and iPod touch running iOS 8.4 or later. You can also use Apple Music on Macs and PCs running iTunes, or on Apple TV 9.2 or later. But the content you downloaded from Apple Music are DRM-protected, it has many limitations. Due to DRM, you can not play Apple Music on common MP3 players without iTunes app installed. What was worse, if your Apple Music subscription is cancelled, the music files you downloaded from Apple Music are no longer available. If you want to listen to Apple Music on MP3 players, first and foremost, is removing DRM protection from Apple Music. As you find 'How to Convert Apple Music to MP3' using Google, there are a number of programs. 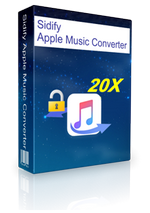 In order to save your time, Sidify Apple Music Converter is highly recommended for you. 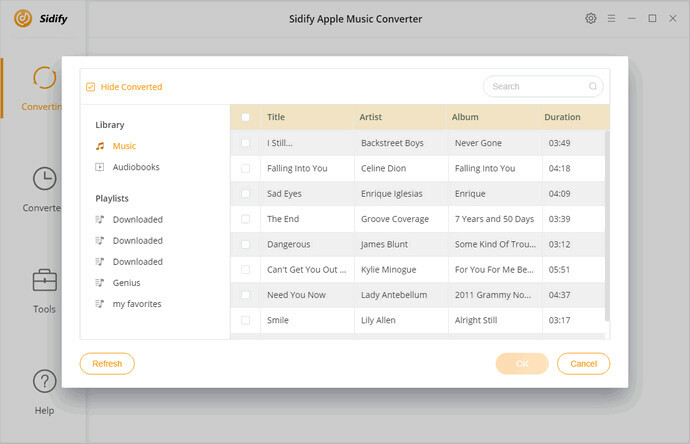 Sidify Apple Music Converter is an all-in-one iTunes Music Converter. With it, you can strip DRM from Apple Music and iTunes M4P music by converting the songs to unprotected MP3 with high speed and ID tags kept. Besides, this program can also convert DRM-ed iTunes and Audible audiobooks like M4A, M4B, AA, AAX files to common audio format like MP3 with the lossless sound quality kept. Now you can follow the steps below to learn how to convert the DRM protected Apple Music to MP3 with Sidify Apple Music Converter. Before we started, firstly please download Apple Music and iTunes purchased M4P songs. And then click the button + on the upper left of interface to import Apple Music from the pop-up iTunes library window. 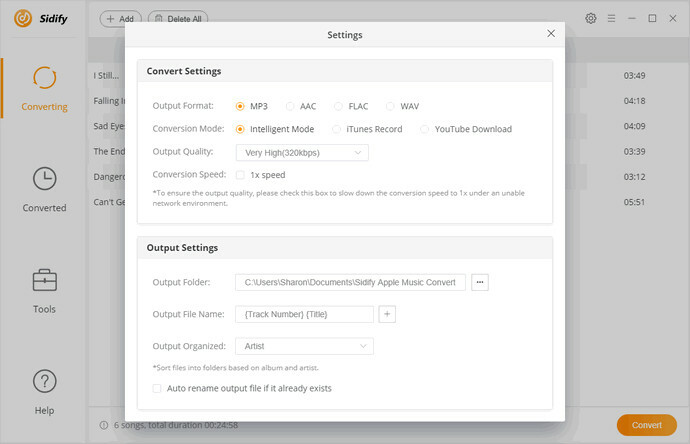 Sidify Apple Music Converter supports converting Apple Music to MP3, AAC, WAV and FLAC. Here you can click settings button to select MP3 as the output format. Besides, you can also set Output Quality and Output Folder as you need. Finally, click Convert button to start Apple Music to MP3 conversion process. After starting the conversion, you can select Open Output Folder option on the right panel. Thus, the converted DRM-free Apple Music of Output Folder will open automatically after the conversion completed. 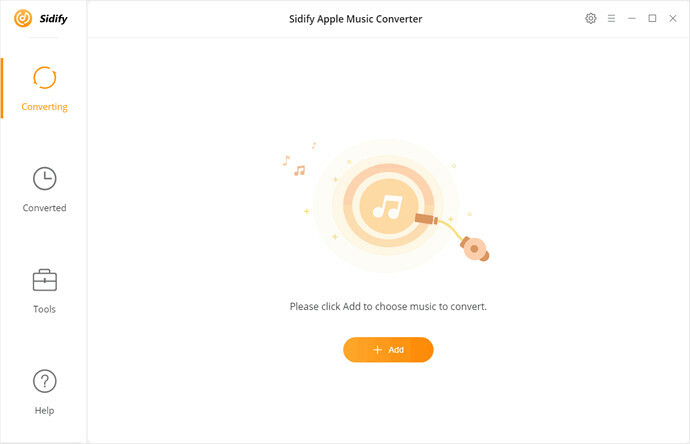 With Sidify Apple Music to MP3 Converter, you can convert Apple Music to MP3 easily. 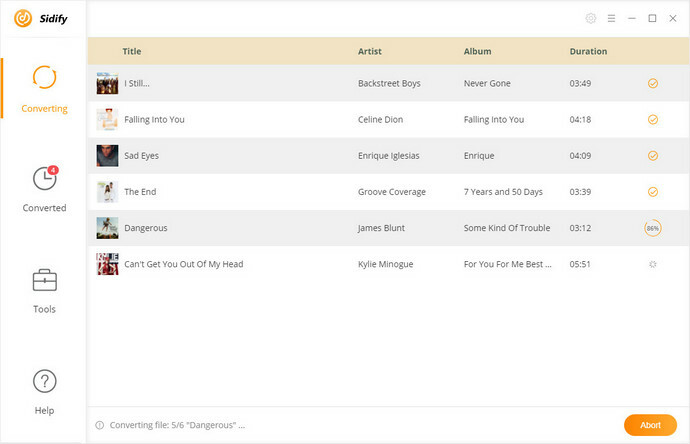 Now you can play the converted Apple Music files on any MP3 player without any limitations.